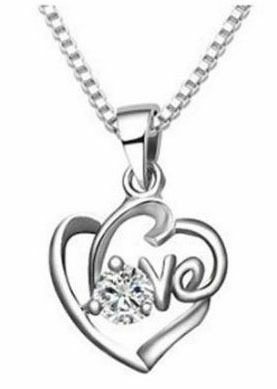 Love Heart Necklace Only $2.15 + $0.85 Shipping! You are here: Home / Great Deals / Amazon Deals / Love Heart Necklace Only $2.15 + $0.85 Shipping! Oh, I love this necklace! This really pretty Love Heart Necklace is just $2.15 +$0.85 shipping! This is such a gorgeous necklace with the crystal for the “O”!